You want to get a sense of how many visitors are coming to your site, where those visitors are coming from and what they’re doing when they arrive. If you haven’t installed Google Analytics on your blog, please watch this screencast on How To Install Google Analytics On Your Blog. 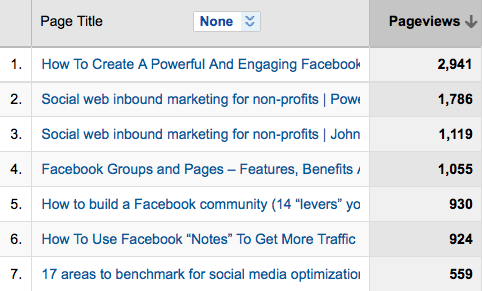 In Google Analytics, the Traffic Sources Overview will tell you how people are getting to your blog. Are they finding you mainly through search? Through referring traffic? Or do they visit directly? In my case, most of my traffic comes from search, followed by referring sites (social media, inbound links). The Referring Sites Report will show you, in acceding order, which sites are sending you the most traffic. You can then drill down into these sites for more details. 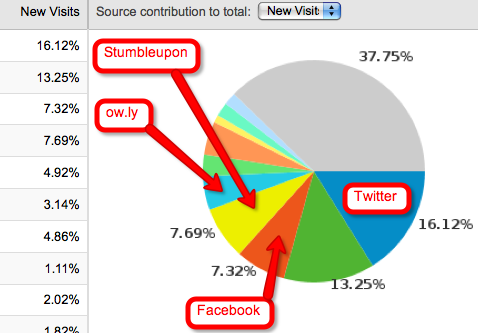 For me, I get the most traffic from Twitter, Facebook, Headway and Stumbleupon. We’ll talk about how to increase traffic from these sites, but for now, we’re just setting baselines. Within the Content report, there is a sub-report called “content by title.“ This will help you understand what topics people are interested in and what you should be writing more about. This report is also a list of pages that should be optimized to increase new customers, more donations or whatever other business goal you have for your blog. In all the reports, there is a column called “Pages/Visit.” This shows you if folks coming to your blog from Twitter or Facebook or wherever are going deeper into your blog’s content or quickly leaving. Don’t be discouraged if your page views are lower than you thought. The very nature of social media encourages folks to have extremely limited attention span. Later in this series, we’ll talk about how to get people to stick around more on your blog. If you’re using Feedburner for your RSS feeds, you’ll be able to see stats on how many people are subscribing to your feed over time and how many people are viewing your content received via RSS. You can also see what posts people are reading most. 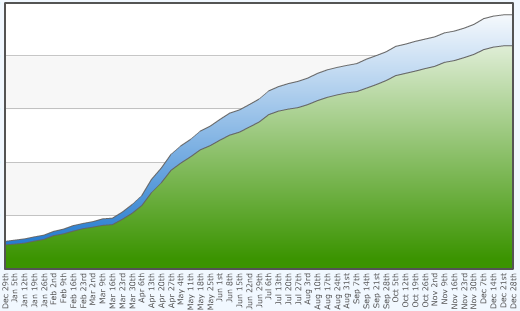 Most email marketing services have comprehensive reporting on subscriber growth. I use Aweber because it lets me create various email lists where I can measure subscriber growth, opens and unsubscribes (25 percent discount for nonprofits). Crazy Egg will create visual maps of what people are clicking on when they visit your pages. This is a great way to research before updating the layout of your site. It was certainly interesting for me to read this post. Thanx for it. I like such topics and anything connected to them. I would like to read a bit more on that blog soon.